Our team has been working together since 2000 across different organisations, disciplines (ecology, economics and agricultural science) and geographic locations. Geoff Park is a director of Natural Decisions Pty Ltd. He worked in various roles with the North Central Catchment Management Authority from 1998 -2013, his last seven years as a Knowledge Broker. In this role he was responsible for the development of collaborative partnerships between researchers, policy makers, extension staff and landholders that lead to improved knowledge exchange and on-ground biodiversity outcomes. As part of the Future Farm Industries CRC he worked with a small research team exploring the development and application of INFFER, awarded the Australian Research Council 2009 Eureka Prize for excellence in interdisciplinary research. Between 2006 and 2011 he was theme leader (knowledge broking) for the CERF Landscape Logic program www.landscapelogic.org.au a collaboration between six NRM regions across Victoria and Tasmania and seven research organisations. He gained a B.Sc (Honours) from Melbourne University in 1980, majoring in Zoology and Genetics and a Diploma of Education from Melbourne State College in 1982. His background is in landscape ecology, teaching and community education and was involved in the establishment of the Victorian Landcare Centre at Creswick (from 1992 – 1998). He has a long standing interest and involvement with communities working to improve biodiversity conservation in agricultural landscapes. Geoff is a trustee with the Norman Wettenhall Foundation, a philanthropic organisation that supports projects that aim to enhance the vitality and diversity of the Australian natural living environment. In 2009 he received the prestigious Dr. Sidney Plowman Travel and Study Award as part of the Victorian Landcare Awards. Geoff was appointed to the Victorian Catchment Management Council in October 2015. Anna Roberts is a director of Natural Decisions Pty Ltd with 30 years experience in research, extension and contributing to policy reform. Her career has been on understanding the impact of agriculture on the environment and developing farming systems which reduce environmental impacts. Her most recent research has been in linking the impacts of farming systems and management on water quality at the catchment scale and assessing the effectiveness of farm management practices. 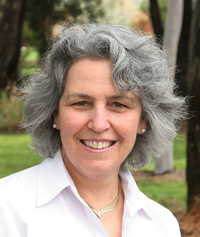 She has previously led development of practical Environmental Management Systems for Australian agricultural industries. She has been part of the team which developed the Investment Framework for Environmental Resources (INFFER) to help organisations achieve cost-effective and realistic environmental outcomes. This framework won the Australian Museum 2009 Australian Research Council Eureka Prize for Interdisciplinary Research and is being widely used across Australia and now internationally. Anna has served on numerous state and national committees and holds a PhD from the University of Melbourne. Anna was based in Annapolis Maryland USA in 2014/15 where she re-structured and transitioned a not-for-profit science-based company (Water Stewardship Incorporated), before returning to work full-time with Natural Decisions in March 2015. The role has provided experience in not-for-profit sector, as well as understanding of the science and politics associated with voluntary and regulatory agricultural programs in the Chesapeake Bay region of the United States. Such experience is useful to help address the increasing water quality challenges in Australia. David Pannell is a director of Natural Decisions Pty Ltd. He is also Winthrop Professor and Head of School of Agricultural and Resource Economics at the University of Western Australia, Director of the Centre for Environmental Economics and Policy, ARC Federation Fellow (2007-2012), Distinguished Fellow and past president of the Australian Agricultural and Resource Economics Society, and Fellow of the Academy of Social Sciences in Australia. His research includes the economics of land and water conservation; environmental policy; farmer adoption of conservation practices; risk management; and economics of farming systems. He has been a prominent commentator on environmental policy in Australia, arguing for policies that better reflect scientific, economic and social realities. His research is characterised by a high degree of collaboration with other national and international researchers. He collaborates closely with other research disciplines, including, in recent projects, with bio-physical modellers, plant scientists, hydrologists, environmental scientists, and sociologists. In 2009 he co-won the ARC Eureka Prize for Interdisciplinary Research. He was a member of the WA Government’s Salinity Taskforce in 2001, and a director on the Board of Land and Water Australia 2002-05. 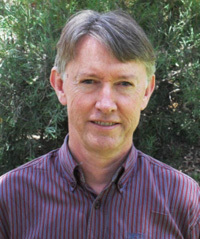 He has received prizes for outstanding published journal articles from professional societies in four countries: the American Agricultural Economics Association, the Canadian Agricultural Economics Society, the Agricultural Economics Society (UK) and the Australian Agricultural and Resource Economics Society (AARES) as well as awards for Quality of Research Discovery and Quality of Communication from AARES. He has published seven books and 190 journal articles and book chapters. He holds B.Sc. Agric., B.Ec. and PhD degrees from the University of Western Australia. 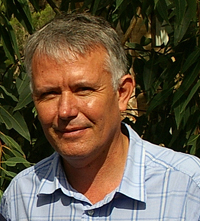 David was co-editor of the Australian Journal of Agricultural and Resource Economics 2003-06, and has been a member of editorial boards for five other journals.